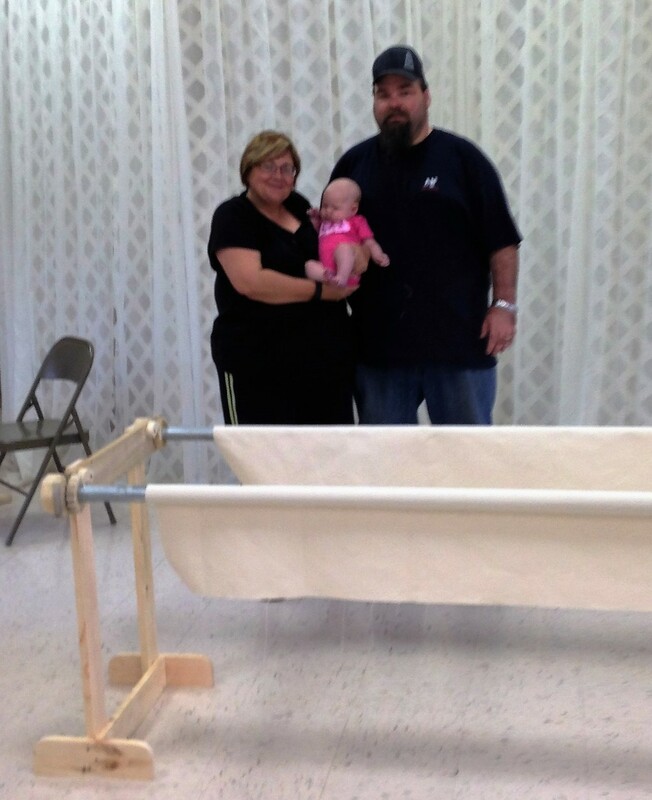 Chad Cox built and donated a new large quilting frame for our prayer quilt ministry. 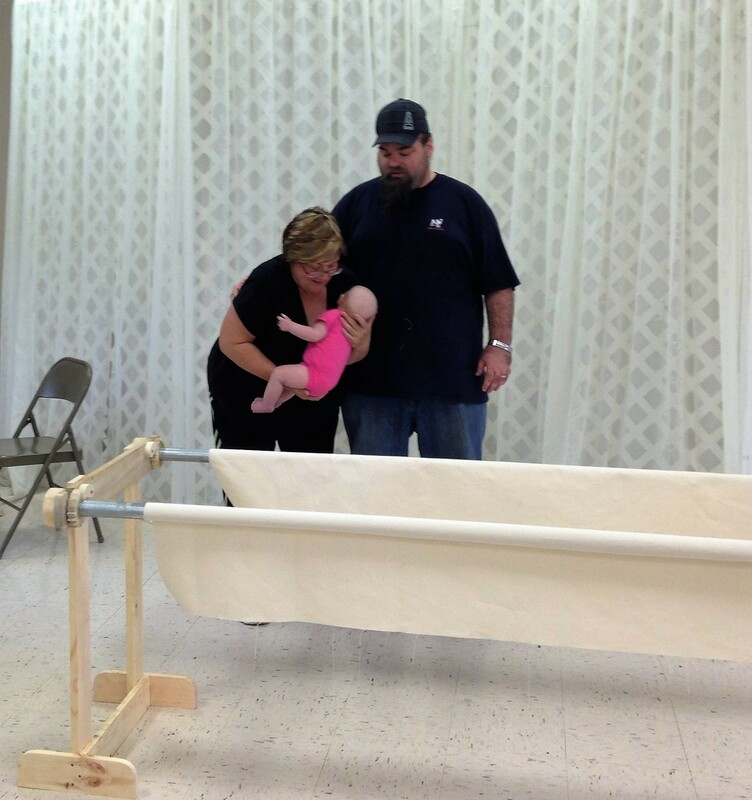 We are blessed! 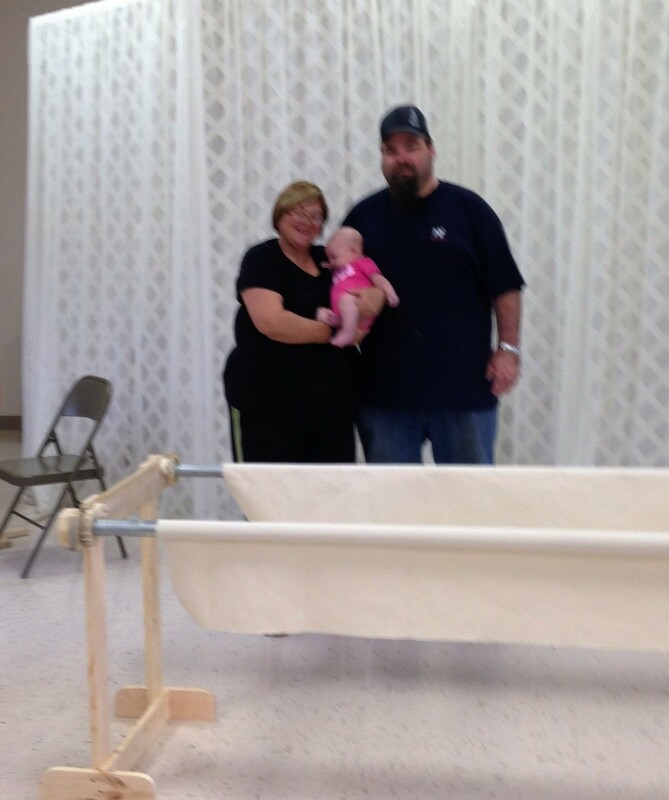 Chad & LeAnn Cox and their new granddaughter, Piper Cox, working on new quilt frame.